Mervah is currently a Project Manager in the Power Generation and Delivery program at CSA Group. She manages the Nuclear Strategic Steering Committee which provides key strategic overview and guidance on direction of the program. She also is responsible for the N286 Technical Committee on Management Systems which produces and maintains standards related to quality assurance of items and services, quality of computer programs, and configuration management for nuclear facilities. She has also worked in other program areas within the standards division of CSA Group including the Petroleum and Natural Gas Industry Systems and Fuel Burning. Prior to joining CSA Group, Mervah worked in the oil & gas field for Yokogawa in the Middle East focusing on instrumentation and process control. 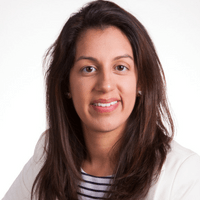 Mervah Khan graduated from Carleton University in Ottawa with a Master’s and a Bachelor’s degree in Electrical Engineering.